After several successful forums and events across the globe, in 2017 the (Gii) program remains a unique and useful opportunity for ACS member communities to bring U.S.-based scientists together with colleagues from a high-need area to explore ways chemistry can address a local problem or to promote best practices in solving that problem. In March, 17, ACS Malaysia Chapter has been chosen to conduct the Gii forum for 2017. The Gii forum is proposed to address issues related to water contamination by ‘contaminants of emerging concerns’, CECs (e.g. antibiotics, pesticides, surfactants, pharmaceuticals, microorganisms) in the aquaculture industries in Johor, Malaysia. Given the economic and social impacts of this industry to the coastal community and the country in general, urgent steps need to be taken. The Gii program is hoped to explore this issue from the chemical and biological point of view, as Malaysia only has a few experts in the detection of CECs in the environment. It is also aimed at investigating the impacts of CECs to local public health. There is currently no comprehensive documents on CECs fate and transport in the environment in Malaysia, and their impacts on the local communities. There is also very few cases of research findings being translated into adopted policy in this country, which we hoped can be assisted by experience of ACS-member experts. 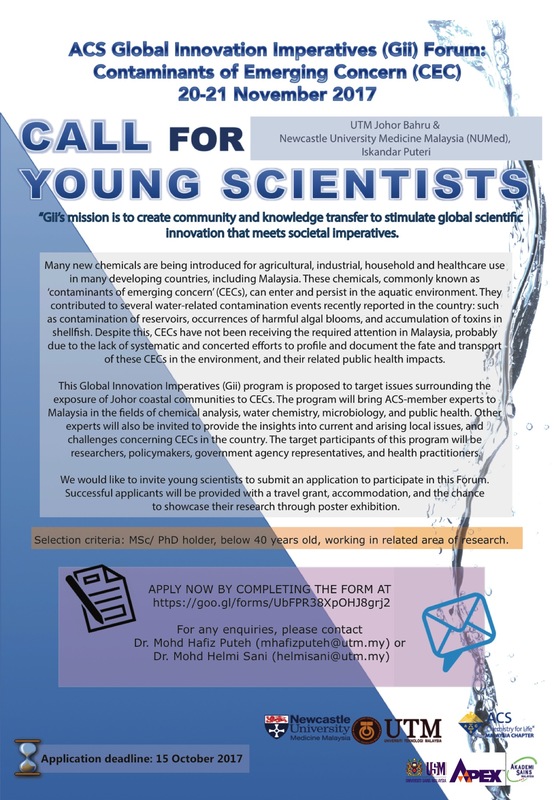 And finally, systematic and concerted efforts are really needed to bring together researchers in this field in Malaysia. Ultimately, water treatment strategies will need to be revamped, with the inputs provided by water treatment experts that will be invited through this Gii program. 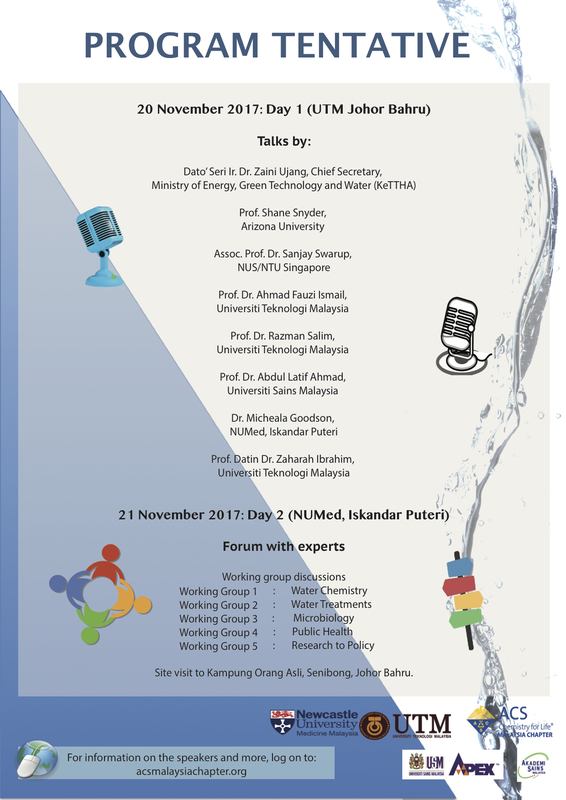 This project is organized by three main universities, Universiti Teknologi Malaysia (UTM), Newcastle University Medicine Malaysia (NUMed), and Universiti Sains Malaysia (USM).